Medium soft to hard, red label, and multi-toned. A full range medium soft to hard mallet that speaks clearly in all registers, yet still rolls smoothly. The most popular “general use” mallet in the Stevens Series. I bought a number of items for my son who is a percussionist and a music director. The entire order was filled and delivered within four business days. I was suprised to some extent that the items were delivered so quickly but I have bought from Steve Weiss previously and had the same terrific results. Kudos. Fantastic mallets, maybe not for beginners? Stevens mallets are great. The shafts are unpolished wood, which I prefer. They have virtually no contact sound, which I like for solo material, and they really do speak in all registers. Beautiful soft rolls in the lower octaves, but a clear sound in the upper. However, be aware that these ones are multi-tonal; they won't have a constant timbre at all dynamics. So while they speak in all registers, they're still situational, like any mallet. If you're looking to add some general multi-toned mallets to your collection, these are great. BUY THEM. 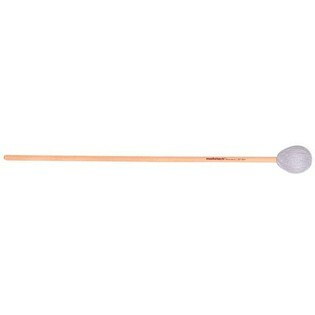 If you're looking for your first general marimba mallets, I would recommend something single-toned. Innovative Percussion's teal IP300s worked for me, but there are many good options. These mallets are phenomenal. The birch shafts feel great and the mallets are wound incredibly. They have the biggest range of any single mallet I've ever heard. They're not two-toned, they're multi-toned. The soft end is magnificently delicate while the loud end has a great bite. Someone earlier said the wood was very dry. I think they're referring to the unpolished birch shafts, which are awesome! I'm not a fan of polished shafts, though. Sounds great on marimba and works well with solos and ensemble work. Plays great, but has a VERY dry wood.